It contains the smallest mechanical Planetarium in the world, showing real time the orbits of Mercury, Venus, Earth, Mars, Jupiter and Saturn around the Sun. 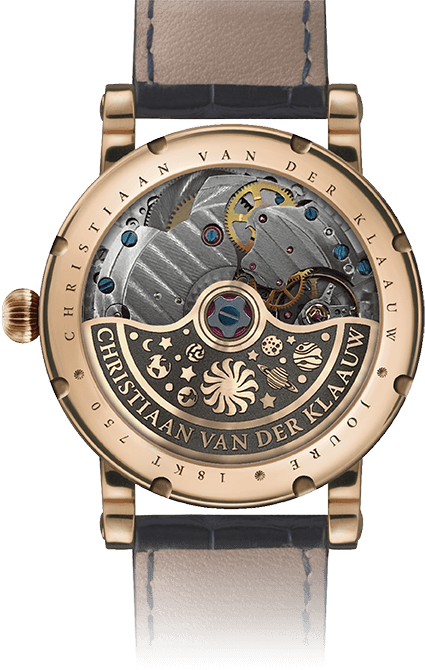 MovementCVDK7386, automatic winding, 35 jewels, twin barrel, power-reserve; 96 hour max., complication; CVDK Planetarium module. 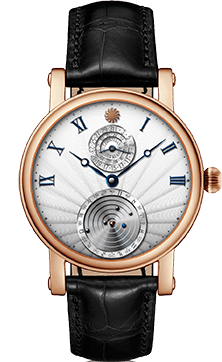 FunctionsHours, minutes, complication; date, month, Planetarium; the watch is equipped with the smallest mechanical Planetarium in the world, showing the orbits of Mercury, Venus, Earth, Mars, Jupiter and Saturn around the Sun. CaseRose gold, ø 40 mm, sapphire crystal, sapphire crystal case-back. DialSilver with blue indexes, rhodium plated Planetarium with coloured Sun and Earth. BuckleLogo engraved rose gold buckle. This is the ultimate way to carry the universe closely to your heart. Our in-house designed module gives you the smallest mechanical heliocentric planetarium in the world. It displays real time the solar orbits of Mercury, Venus, Earth, Mars, Jupiter and Saturn. It also shows you the minutes, hours, date and month. 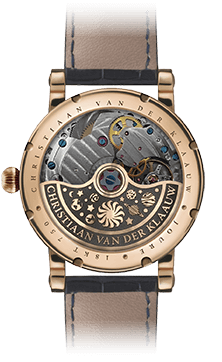 The result is a magnificent spectacle that continues to fascinate in all its complex mechanical beauty. 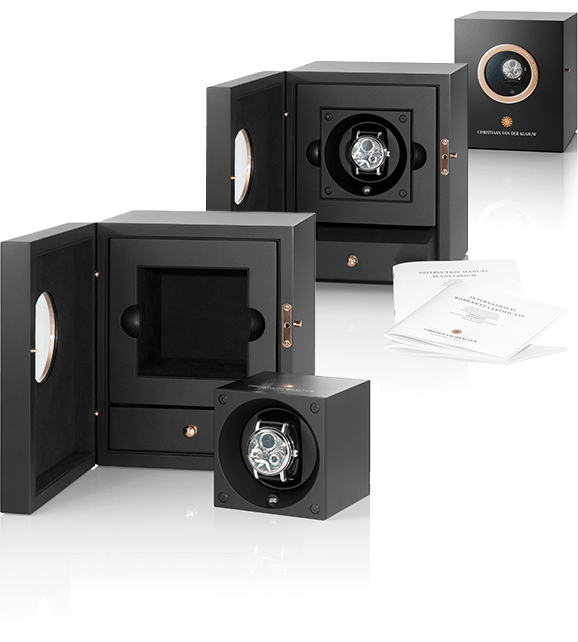 This is astronomical watchmaking at the highest level, intricately designed and executed. Our Planetarium is one of the most complicated watches in our collection, a fitting tribute to the grand masters of planetarium design such as Nicolaas Copernicus, Johannes Kepler, Christiaan Huygens and Eise Eisinga.